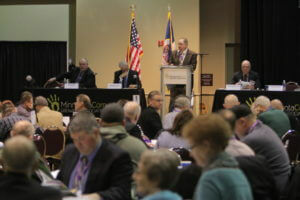 Delegates to the Minnesota Corn Growers Association’s (MCGA) recent annual meeting at MN Ag EXPO 2017 in Mankato re-elected six farmers to its board of directors. Paul Henning, Okabena, was re-elected to represent District 1; Tim Waibel, Courtland, District 2; Chuck DeGrote, Clara City, District 4; Noah Hultgren, Willmar, District 5; and Bryan Biegler, Lake Wilson, and Kirby Hettver, DeGraff, were elected to at-large positions. In late December I remarked in this space how the 2016 election would be one for the history books. If the first few weeks of 2017 under the capitol dome are any indication, then this legislative session may likewise become one for future study. 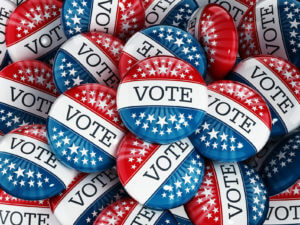 Elections matter, and the 2016 election will be one for the history books! Regardless of who you supported, elections have a powerful impact in shaping mandates when lawmakers take their oath of office. The good news for farmers and rural Minnesota is a key mandate from the November 8th election: state/federal policymakers need to pay more attention to rural issues and voters. 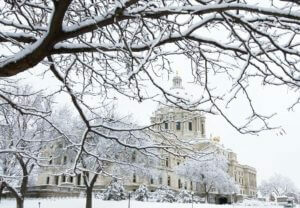 As we all form our own understanding and opinions about the 2016 election cycle and what it means to agriculture policy going forward, here’s a very brief update on how things shook out in Minnesota. 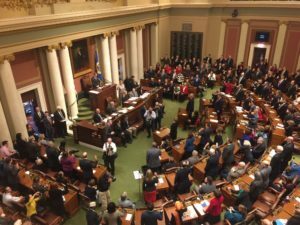 The Minnesota Senate will change hands as the GOP made a net gain of 6 seats to take the majority.